EXPO Shanghai attracts millions of visitors from China and every corner of the globe. It is a visiting card for China, so it is essential that everything runs like clockwork, even behind the scenes. The ELCO solar installations at the Shanghai World EXPO are an excellent demonstration of our competence in outstanding renewable energy solutions to a wide specialist audience. 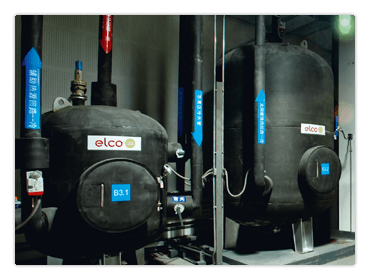 In China, and all over the world, ELCO was responsible for all aspects of the design of the Shanghai project – from the steel structure to the solar heating system, control system, installation and commissioning. ELCO is also responsible for all interfaces.